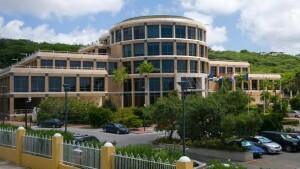 WILLEMSTAD - Today marks the 190th anniversary of the Centrale Bank van Curaçao en Sint Maarten (CBCS). In 1828, King Willem I of the Netherlands gave orders to establish a bank that had to create order in the chaotic financial situation in Curaçao and the dependent islands. The main task of this bank was to provide loans to merchants, in order to stimulate the island’s economy. Hence the name “Bank der Leening” (Bank of Loans). The bank was situated in Fort Amsterdam and was part of the Department of Finances. In the 190 years of its existence, the bank has been through many changes. When the first commercial banks started their activities on the island, the bank allocated its commercial activities and focused on supervision. When the bank reached its 125th anniversary in 1953, the staff consisted of one secretary, one cashier, one courier, and four administrative employees. Today, the CBCS works with over 200 professionals, who together ensure the stability of our guilder and a sound financial sector. Furthermore, the CBCS is the oldest still operating circulation bank of the Americas and the Caribbean. On the occasion of our anniversary, the CBCS decided to make a donation to two organizations - Nos ta Konektá in Curaçao and Philipsburg Jubilee Library in Sint Maarten. Nos ta Konektá, who received a symbolic cheque of NAf 19,000 this morning, is a project of Stichting Curaçao Open, which aims to provide children between the age of 12 and 17 years in deprived neighborhoods in Curaçao with courses in computer and internet use, digital literacy and dealing with information. In today’s digital area, computer skills are becoming increasingly important. Children of low-income families often do not have electronic devices at home nor access to the internet. This results in a digital gap, which deprives this group of equal opportunities for development, work and a future. The CBCS is proud to make a contribution to the good work done by these organizations. This morning, acting president Mrs. Leila Matroos-Lasten together with the CBCS staff, raised the glass to toast to the future success of the CBCS.